Ever since its inception almost 20 years ago, Google has penetrated almost every aspect of our lives and has been crowned as an omnipresent facilitator. Amongst plethora of services offered by the tech mogul, Google Tasks is one handy tool to organize our routine tasks. It is a to do and task tracking platform for all operating systems and devices. Google task is capable of creating tasks directly through Gmail and other integrated platforms. Google Tasks comes with a bunch of benefits but failed to gather much limelight as a Google Product. The services are not satisfactory when it comes to working in groups due to lack of social collaboration tools and standard project management and representation tools such as Gantt Chart etc. If you are searching for the best alternative to Google Tasks that comes with project and client management features, then you might settle with anyone of the listed below. It is a personal information manager that organizes your appointments, tasks, contacts, passwords and email messages across all the platforms and devices. EssentialPIM stores the data in a secure and scalable database. The data is cross- linked and related elements can be easily navigate through tag filters. Google Calendar, DropBox and many others. In addition to these benefits, EssentialPIM ensures data security by encrypting it with AES 256-bit key. Syncing data over cloud applications is protected via SSL. At last its basic and easy-to- use interface attracts the beginners. This one might be everyone’s favourite because of its beautiful interface and catchy design that is definitely a treat to users. It gives functionalities to map out our progress on a project using CRM, alerts and reminders never let you skip your deadlines. The delightful interface enhances the visualization of your work through multiple stages quickly, easily and beautifully with the help of boards. Timeline feature allows you to track your progress with graphs and charts to ensure that you hit the deadline. You can create groups of your colleagues and share the tasks and deadlines with them. The security tools make the teams and projects private assuring safe and secure environment to work. Meistertask is a product from the developers of MindMeister, which is an online mapping tool to brainstorm with your work partners in real-time and create project plans visually. This mapping by MindMeister can be dragged and dropped to Meistertask where you assign the tasks according to the mapping to your teammates. Each task holds space for instant communications, task-related discussions and sharing information to meet the goals. You can monitor the progress of each teammate with catchy visuals, making it way more interesting. It is a modern work management software which is specially enterprise-based. It is one of the most popular Google Tasks Alternatives. Workfront provides integration of project management software, intelligent work automation and in-context collaboration for faster deliveries of end product. It mitigates the cost of mistakes by sharing the videos, important documents and marketing assets with various stakeholders for approval before releasing it. Automated review loops make development faster since they eliminates the need to ask every authority personally that ‘hey you have to sign on this, then I can proceed’. Checkvist is specially designed for geeks & definitely one of the best alternative to Google Tasks. Being a keyboard-centric platform, it allows the flow of thoughts and capturing ideas faster with hands on keyboard shortcuts only. The interface is very user-friendly. Text-formatting, using links and tables or adding a programming code can be done with ease. It is open, free and allow users to export and import their data to numerous editors or any other task management portal as well. The mobile version is very responsive and does not require an active Internet connection always to access your to-do lists. To get a look and feel of the standard product you can use the 14-day trial period. Digitalization have made scheduling tasks on a paper planner and using sticky notes for reminders obsolete. 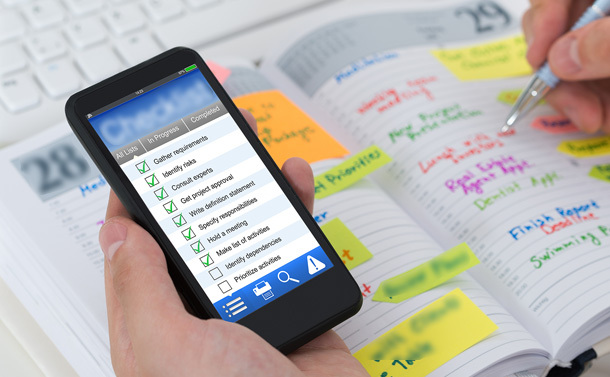 These digital to-do list and task tracking platforms are raising the efficiency of workflow environment.